Introducing the new Maserati Levante. It has the appearance and characteristics true to the Maserati heritage of style and luxury. 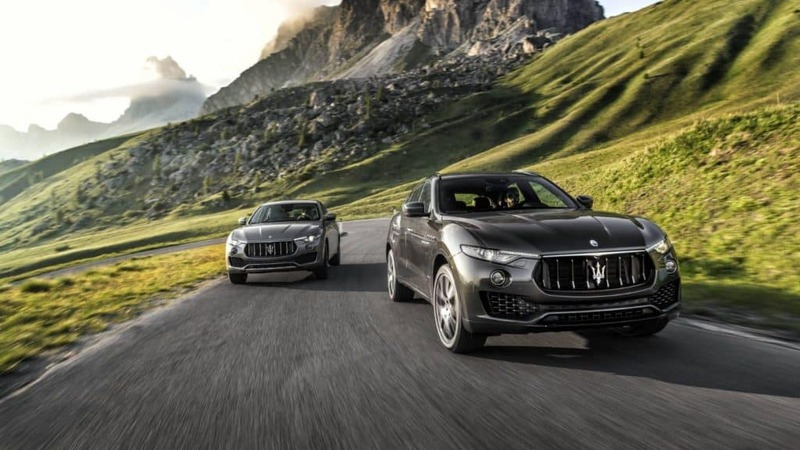 The Levante will share its platform with the Maserati Ghibli. It will be in the Sport Utility Vehicle classification, a first for Maserati. The exterior color palette will include the well known Metallic, Metalescent, Mica, and Pearlescent paints currently available from Maserati. Unfortunately the color availability is not known at this time. The body reflects an all new design, though it maintains the signature Maserati front grille and side “port hole” accents. The vehicle is equipped with all new LED headlamps and fog lights. It is also equipped with a roof spoiler, sporty suspension, and dual exit exhaust system. Alloy Wheels will be standard in a range from 19” to 21” with wheel designs unique to the Levante.